Compared to water, phase change materials (PCMs) offer more capacity to store heat in tanks. As a consequence, researchers in all corners of the world have been developing new materials and their properties. To ensure the employment of a shared methodology and the use of equivalent terms to describe scientific findings, the IEA Solar Heating and Cooling Programme (IEA SHC) has published a glossary and compiled a database from PCM test results at www.thermalmaterials.org. 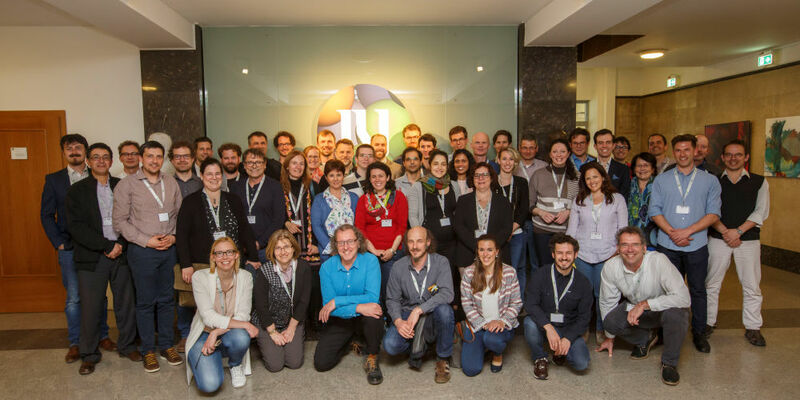 The work is being coordinated by members of the research platform Material and Component Development for Thermal Energy Storage, set up in close cooperation between the IEA’s SHC Task 58 and Annex 33 – Energy Conservation through Energy Storage (ECES). The photo, taken in April, shows the members at a meeting in Ljubljana, Slovenia. He added that “these publicly available results provide a great service for other materials researchers and product developers working in the thermal storage industry.” Task 58 / Annex 33 members have access to even more information on PCM test reports in the password-protected area of the website, since certain materials have been tested by using preliminary versions of the T4229 standard and the test results will require an update before publication. One characteristic that storage tank developers are looking for in an advanced PCM is high heat of fusion, which is the amount of heat stored in kilojoules per kilogram when melting a material. The database lists the highest heat of fusion for n-Octadecane, a paraffin, at 237 kJ/kg. The second important quality is a small temperature range for the phase transition between melting and crystallisation, with little supercooling added (see the chart above). It is recommended that the PCM should not crystallise (left lines on the graph) at a much lower temperature than the one used for melting the material in the first place (lines on the right). 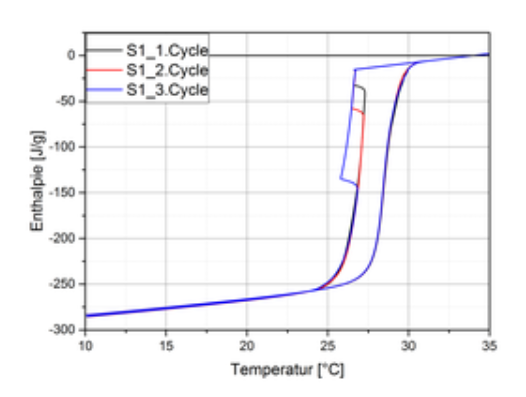 Discussions among representatives for different materials science laboratories which are members of the thermal storage research platform have revealed that researchers may choose different methods for complying with the T4229 standard and describing their findings. This has led to the creation of a publicly available glossary on the PCM Wiki page, which includes particularly DSC-related terms. “The glossary is based on input that was provided to us by researchers who are also members of our research platform. During the past six months, we have gathered a lot of information and we are still getting new input,” said Gschwander. Besides DSC, key technical terms explained in the glossary are supercooling, t-history, enthalpy, zero-line and the melting as well as the crystallisation temperature. After test methods for the heat of fusion were aligned with T4229, the Task 58 / Annex 33 members have begun to focus on other key PCM properties. They are viscosity, density and thermal diffusivity. In short, the group still has much to do before the end of the project in late 2019.